Fly Navarro joins his friend Arturo, mate aboard Team Galati. They give a great demo on how to rig a ballyhoo so that it is ready to fish on a circle hook for sailfish and other pitch bait species. In this video, they demonstrate the copper wire and small barrel swivel method to prep the ballyhoo. The key is that the size of the swivel’s eye matches the circle hook and allows the barb to just pass through. This is a great method for this type of fishing and the copper wire makes a very sturdy connection to the bait. 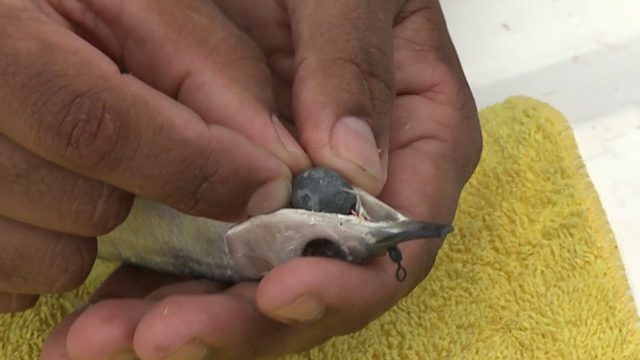 Proper placement of the chin weight makes the bait swim like a live one. 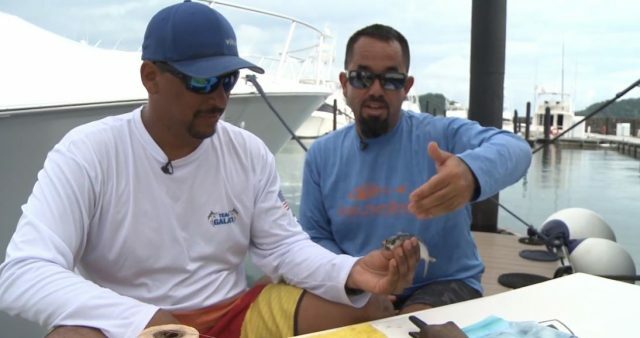 Great offshore bait rigging tips from the experts in the Fly Zone!